After my nephew's exciting birth (click here to read Part One) my mom and I crashed at a local hotel so we could be there in the morning when my new nephew got to meet this three VERY excited older siblings! 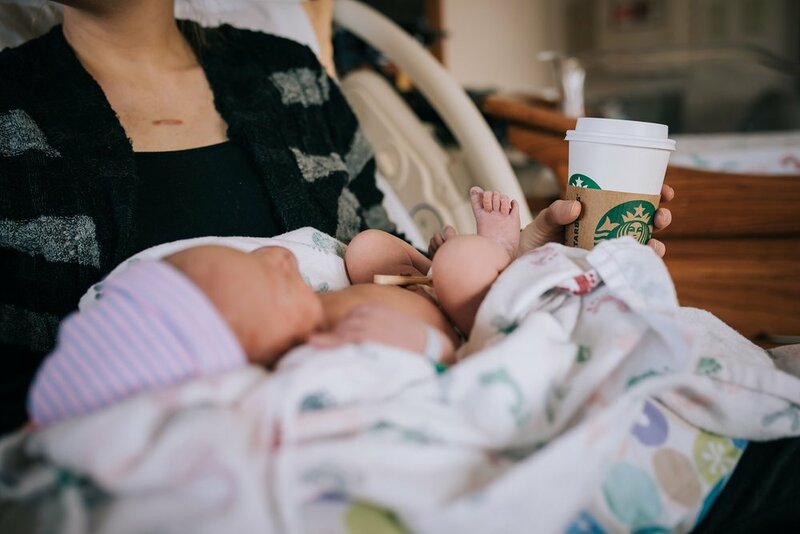 Around 9am, we headed back to the hospital to enjoy some coffee with my sister and some snuggles with sweet Justus while my brother-in-law (Andrew) made the 45 minute drive up the mountain to pick up the older children. The view from her hospital window -- the beauty of the mountains never ceases to amaze me! The older kids were so excited to have some special gifts to open from Grandma! Slippers and a new game!